If you're not yet hip to soccer (ahem, football), get with the rest of the world. The 2014 World Cup is a party. The U.S.'s opening match against Ghana—the team that eliminated the Americans in both 2006 and 2010—will be displayed on a 19-by-33-feet high-def screen in Grant Park. 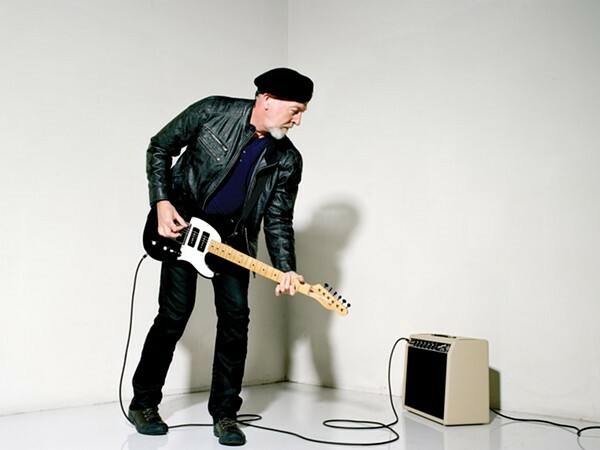 Following a sold-out show Saturday at SPACE, the Richard Thompson Electric Trio performs a free show tonight at the Pritzker Pavilion in Millennium Park. The Reader's Bill Meyer writes that Thompson's guitar-playing on his new record, Electric, "still strikes sparks." The show features a solo acoustic set with one followed by the trio. On June 16, 1904, James Joyce met his future wife, Nora Barnacle. To ensure that he'd remember, he set his masterpiece, Ulysses, on that date. This Bloomsday at Galway Arms, raise a glass or many to the Joyces, then join in a worldwide project to read Ulysses aloud—all of it—in a single day.